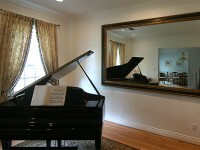 We Design, Build and Install the Worlds Most Beautiful Mirrors! Visit our Online Mirror Store and Order! Houston is becoming one of the choice locations for new homeowners and the projected figure for new homes expected to touch 16% in the year 2014, Texas Custom Mirrors is the one destination for all the framed mirror accessories you need….